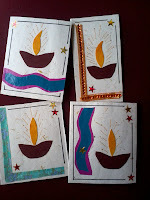 Start with cutting your stock paper into cards of required size and shape. I've stuck to simple rectangular shaped cards. Decide on a theme, so that you can shortlist few items which depict that theme - here I've opted for Diwali, so I went for 'Diyas' - simple and apt for the festive season. Other common option can be flowers - which can pretty much suit any occasion. For other stick-on craft items I've used gold-red brocade laces to resemble the festive season. 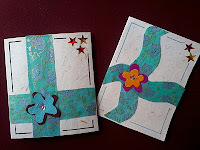 Alternate option would be to use colorful paper.This is for the borders. Finally cut the colorful craft paper into objects of your decided theme. 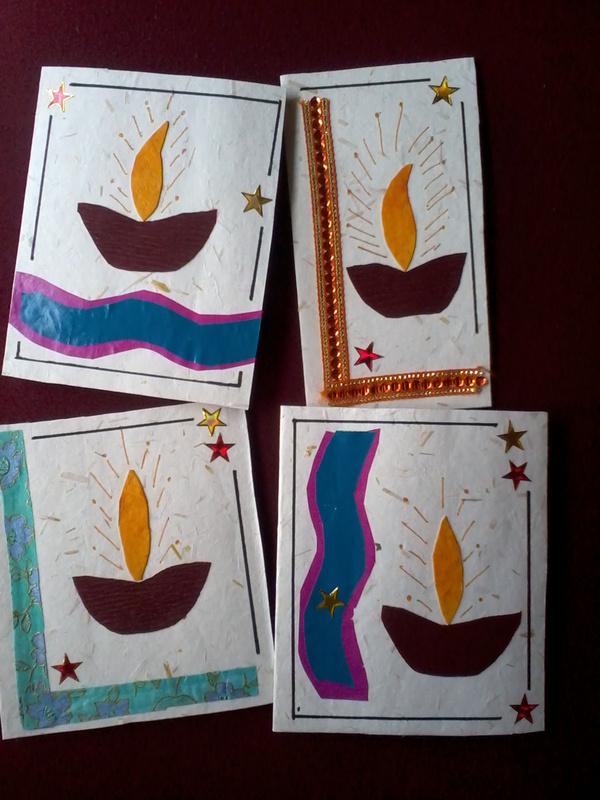 So I've cut some diya shapes from the brown colored paper and some flames from the orange/yellow colored paper. 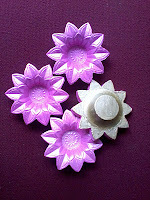 For generic theme - flowers, cut petals of different shapes and colors. 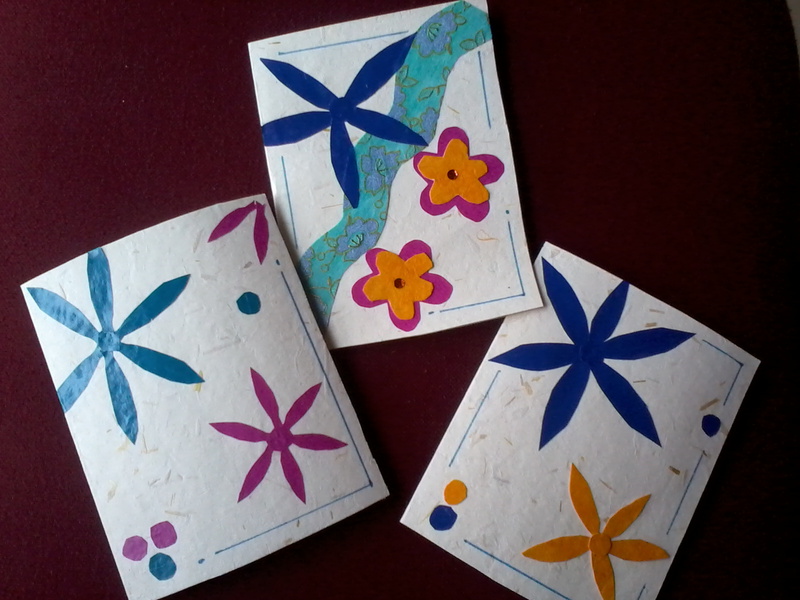 You can also cut small flowers with five petals or basically any floral pattern of your choice. Once you've collected all raw materials - different border patterns, different detailing patterns and generic decorations, then its only about sticking them creatively on your cards. Start by sticking the decorative border, add detailing like 'diyas' or flowers and finish with generic decorations of your choice.